Something happened recently. We went camping as a family for the first time. Our family camping checklist is sponsored on behalf of Toyota. I’m thankful that challenged us to get out of our comfort zone and experience something new together. Once upon a time when I was six or seven years old, I vaguely remember going camping with my family. Now I have my own six-year-old and haven’t been camping since that experience. 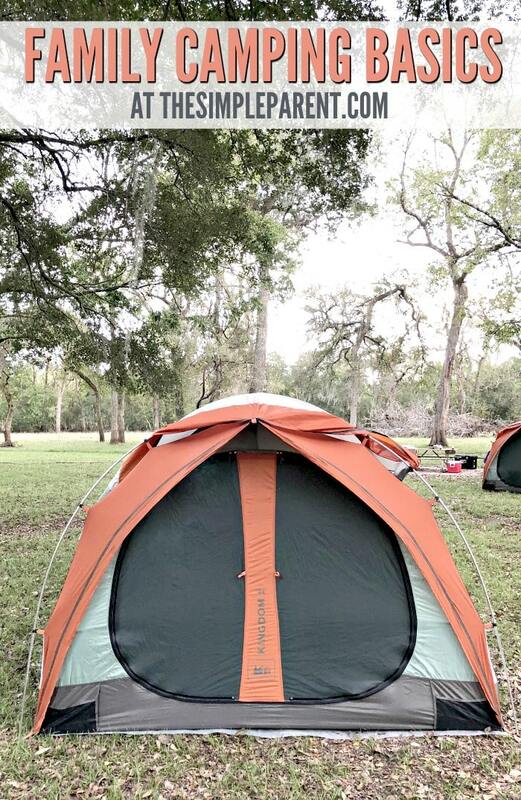 When Toyota reached out asking us if we’d like to visit Brazos Bend State Park and go camping, it seemed like an adventure we should take. 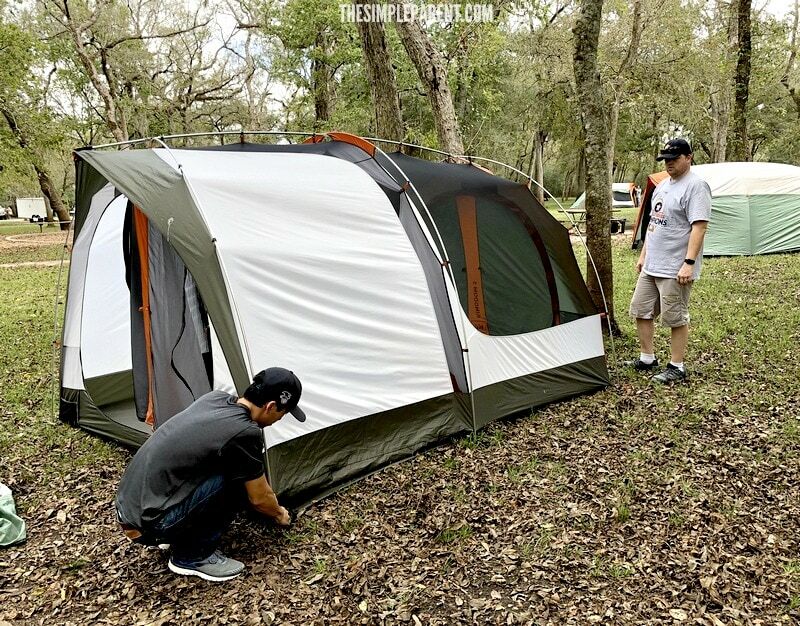 That meant it was time for me to bone up on family camping basics and find some sort of family camping checklist to help me make sure that I was prepared! We enjoyed our family camping trip, but I won’t claim to have been fully prepared for it! 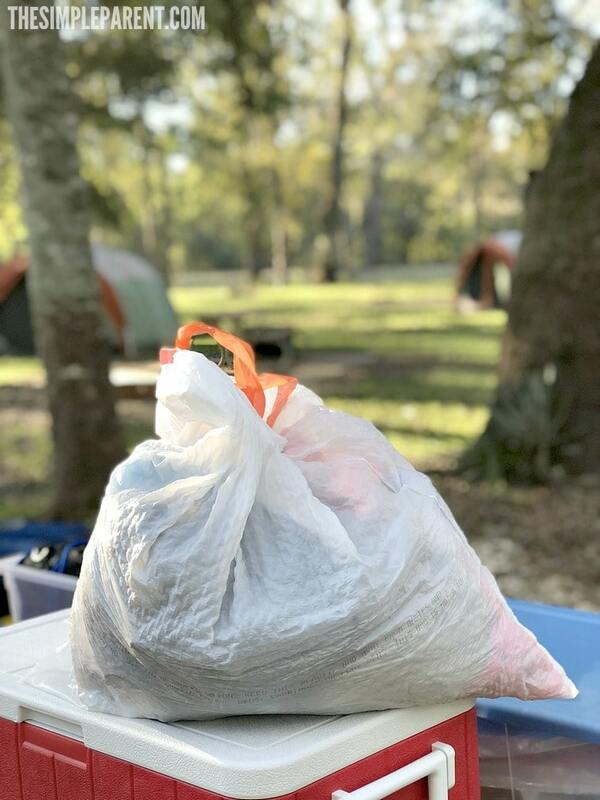 So this family camping checklist is a combination of things I learned while preparing and things I learned during our camping trip! My biggest tip when it comes to family camping basics is to write everything down as you plan. If you think of something that you need to pack, write it down. When you’re in the early stages of packing, this is the way to guarantee that everything actually makes it on the camping trip with you! I’ll admit that this is how we made it to the campground without the multi-purpose lighter I meant to bring! Don’t forget bug spray and sunscreen. 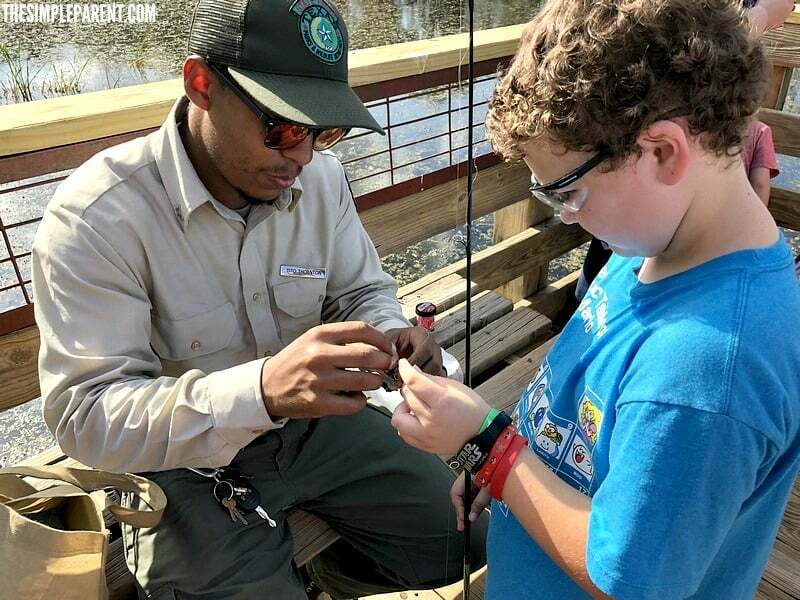 Bug repellant and sunscreen are essentials when it comes to any outdoor activities. That means they’re both definitely family camping basics! You can’t have enough matches, lighters, and fire starting supplies. I mentioned above that I forgot our multi-purpose lighter. I needed to have it on my family camping checklist! 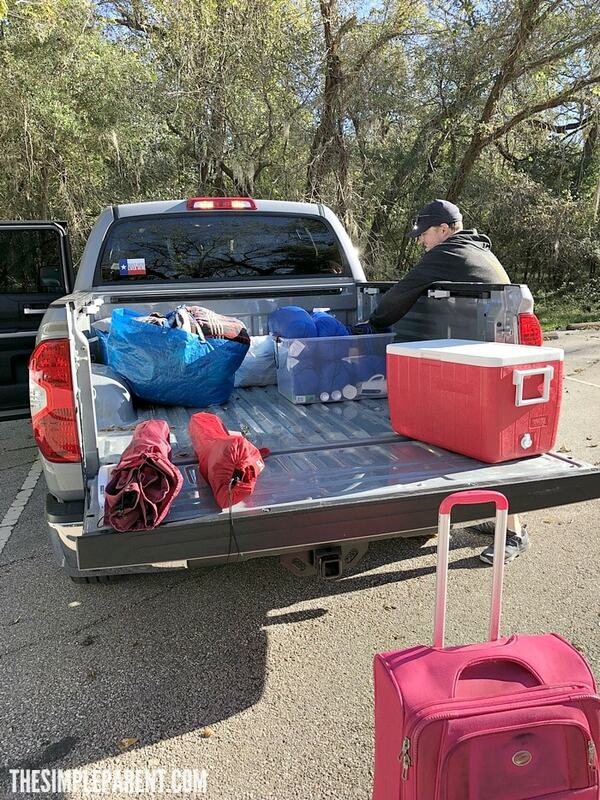 Thankfully, we were camping as part of the Texas Outdoor Family Camping Workshop, so the Rangers had a trunk of supplies for us that included matches. I also forgot to get any sort of fire starter or firewood. Thankfully we were able to purchase firewood at the park and the rangers do give lessons in starting campfires! I definitely recommend packing all your fire-related supplies early so you don’t forget them! And remember to get enough firewood for as many fires as you might want to make! We didn’t have enough to start a fire in the morning and it was a cold, cold morning! 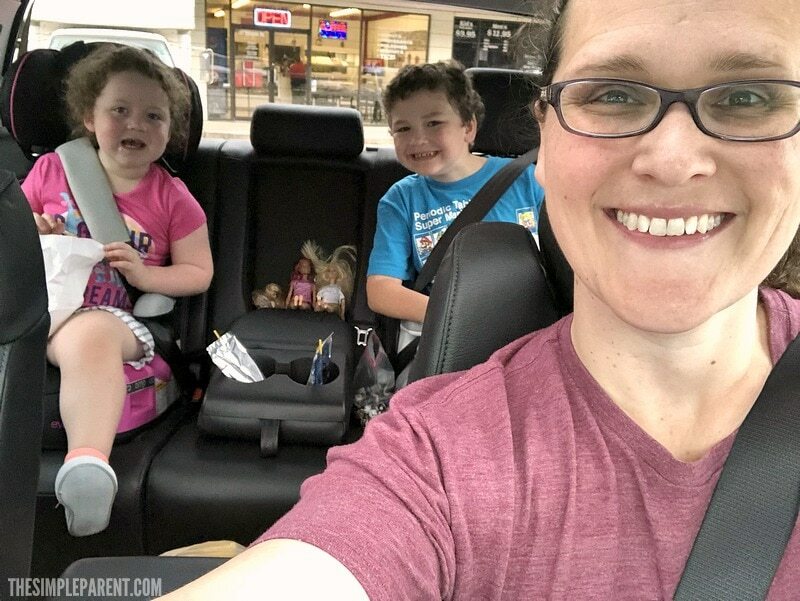 These supplies are definitely a family camping checklist priority! Pack food and back up food. I was worried about packing too much food. Then I was worried about not packing enough food. Then I worried about what kind of food to pack. That’s my best advice. Stick to snacks that you know your family likes and that don’t need to be refrigerated (there is limited space in the cooler). Fruit is a great option. We also did fruit snacks, crackers, chips, and some cookies. For meals, we kept it very simple as well. We took sandwich stuff (bread, lunch meat, cheese, peanut butter, and jelly) for our lunch and hot dogs to roast for dinner! Toyota also provided us with everything we needed to make S’mores! Keep the food simple, but don’t be afraid to bring extra. It’s better to take some home with you than be at a campground that is a long drive from anywhere that has more food! 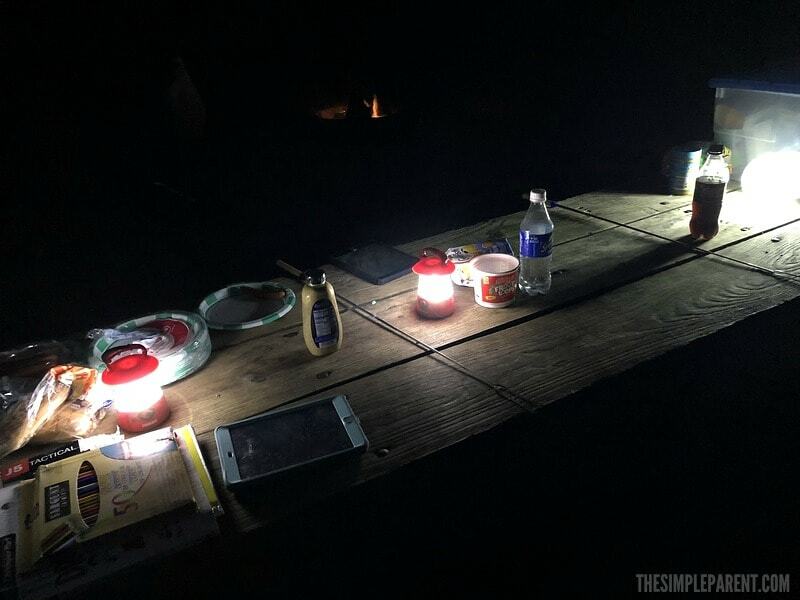 As part of our camping kit, the Rangers gave us a night solar lantern that provided some light but it definitely wouldn’t have been enough on its own. We had a few small lanterns of our own and a flashlight. We could have easily used a few more flashlights and lanterns! When your family goes from being used to the creature comforts of our modern home to sleeping in a tent in the middle of nature, you can’t have too many light sources! Watch the weather in the days and hours leading up to your departure for the campground. It’s better to have too many extra clothes than to be cold or wet for your whole trip! It got very cold during the night we were camping. I brought extra clothes and blankets but we definitely could have used more! So don’t skimp on extra clothing and bedding. We also could have used more pillows just for a comfort factor! It’s better to have more than not enough! This is my current camping motto! Bring plenty of garbage bags. One thing the Rangers stressed was the importance of enjoying ourselves but leaving no trace of our camping trip at the campsite. That meant that everything we brought in with us needed to leave with us. There was a large trash bin near the restrooms so it was easy to throw our trash bags away during our stay. But definitely pack a bunch of garbage bags. We used them for garbage and I also packed up our dirty clothes and bedding in one to make it easier to do laundry when we got home! Bring books, cards, and games. We were lucky that our campsite had a playground for the kids to play on during the day. But once the sun set and it got dark, we all headed to the tent to relax. We had brought tablets with downloaded videos and offline games. If you’re okay with technology camping with you on your trip, make sure you’ve got things downloaded in advance. Otherwise bring books (with plenty of flashlights), cards, and other board games that will help you keep the family entertained once the campground settles down for the night. Organize everything in containers with lids. 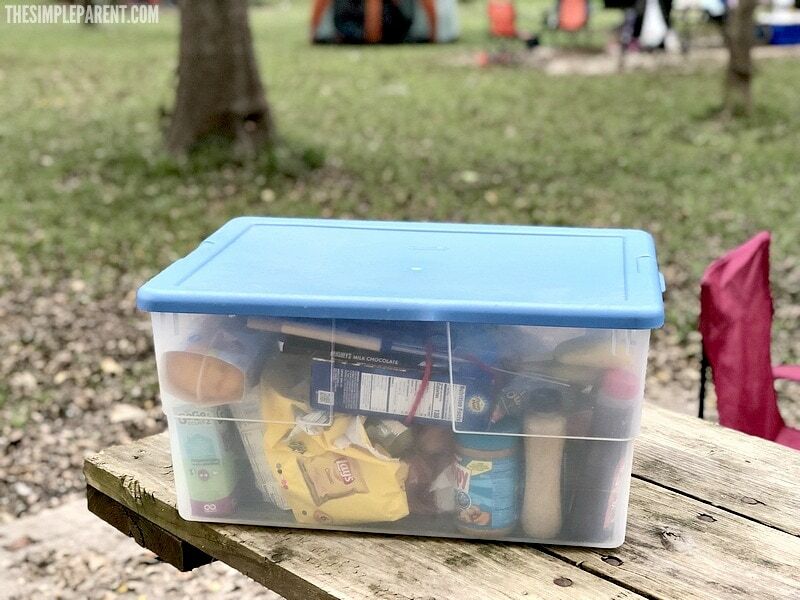 One of the most important family camping tips I can share from our experience is to organize all of your supplies in plastic containers that have lids. They just make it easier to keep things organized. Plus it protects things from the elements. For food, even with a lid, the Rangers recommended that we either put the closed bins under the benches on our picnic table or in our locked vehicles. (Never keep food in your tent, even at night!) Because the wildlife can even open lids on containers and coolers! 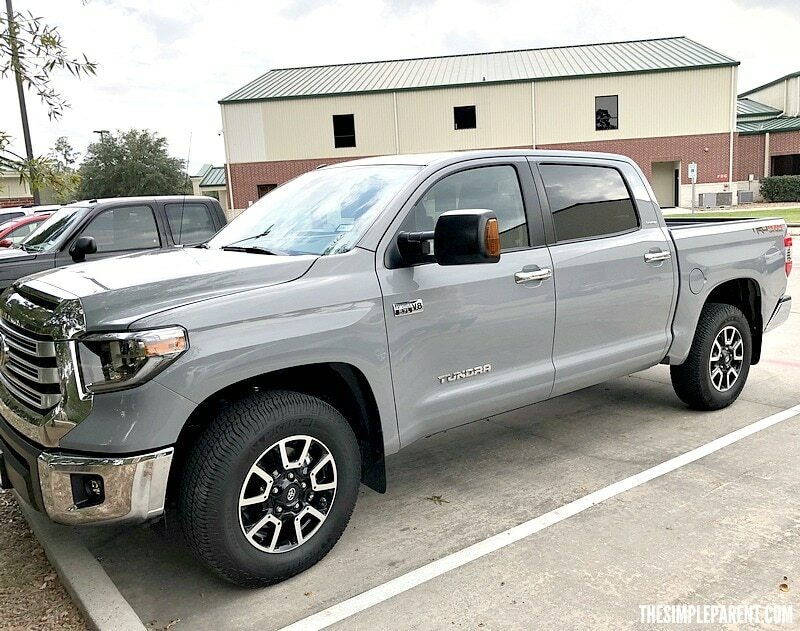 The bins actually made it easier to pack our supplies into the truck bed of the Toyota Tundra Limited CrewMax that Toyota lent us for our trip to Brazos Bend State Park! I had never packed up the back of a truck before and wanted to make sure we didn’t lose anything on our way to camp! The truck worked great for our camping trip! It easily sat our family of four (Grambo ended up having to stay home but we could have fit all five of us) with plenty of leg room in the backseat! The CrewMax also features Fold-up rear seats that could be great for camping if you need a little extra cargo space! The center console was amazing too! I actually kept a roll of paper towels stashed in there while we had the truck and they came in handy! Get to the campground early. The last of my family camping tips is to get to your campsite early, especially if you’re not a very experienced camper. It may take more time than you anticipate to set everything up and I cannot even imagine trying to put up a tent in the dark! 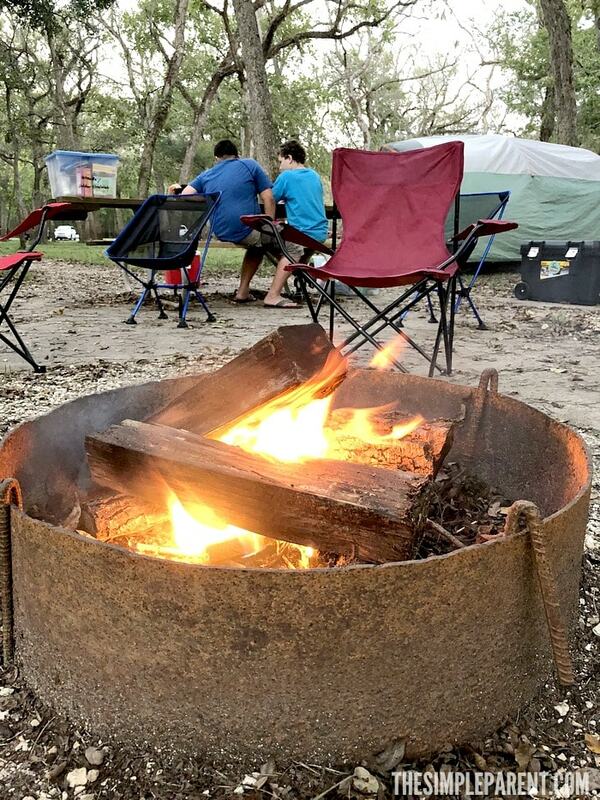 So get to the campground, get set up and organized, and enjoy your family camping trip! Remember, if you happen to forget anything and are too far away to drive and get it, you’ll probably be just fine! So don’t stress too much. 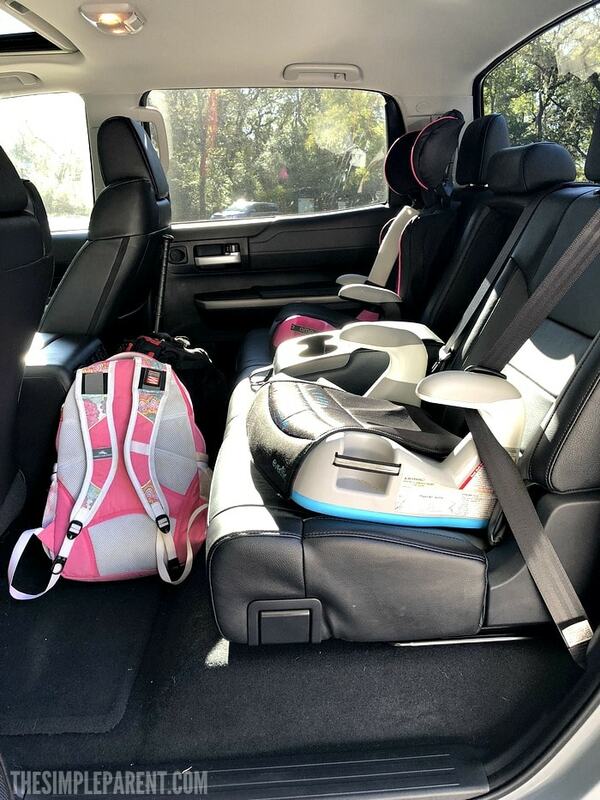 Just do your best to be prepared and enjoy the adventure with your family! To check out more of our adventures and tips, be sure to visit our family travel section!